There's nothing like fresh popcorn from a professional popcorn machine! 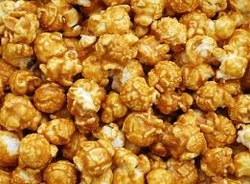 Buy for Shabbat, as a host gift, birthday gift, for a Bar/Bat Mitzvah or any occasion, popcorn is always a treat! Add a balloon for a special gift! Order on Thursday or before for Shabbat and 2 days before any event. Minimum order of 5 bags for any weekday.